The Road Less Travelled: Kids Lake & AHOPE! Kids LAKE is a campaign to help kids all "pitch in" to make a difference in our world! The challenge for kids is to raise, earn or save money every month to be able to send to kids around the world so they may know God's Love. Every month, we'll feature a different organization that we'll be raising money for. This way, kids can not only make a difference through their donations, but also through their prayers! Every month we'll give you lots of details and stories of the country, kids and organization we are raising money for so you can use it as an educational tool! How neat is that?! I love finding new ways to get our kids involved in ministry and Kids Lake is just that. Currently they are raising money for AHOPE. 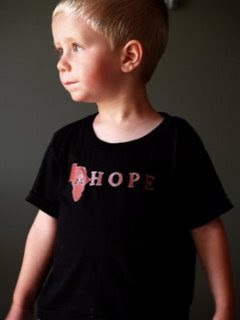 AHOPE is a ministry in Ethiopia providing care for HIV positive children. Kids Lake has a goal of $1300 for September and they are short. As an incentive AHOPE is offering some CUTE T's or a bracelet as a thank you for your donation. I urge each of you to consider donating to this great cause. 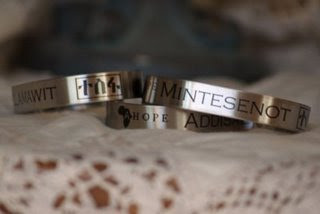 After your donation you can email Brandi and put in your request for a T or a bracelet. A reminder to pray for these sweet children affected by the HIV epidemic in Ethiopia. Cute shirt or bracelet, great cause, who wouldn't want to help? If you love the T's and want more check out the AHOPE store HERE. Yeah!! Thank you so much, Erica! I really appreciate you posting on this! Thanks for your donation! Thanks for sharing and for reminding us to pray for these precious babies! This is so great! We love AHOPE!